I am a blind Cepstral user running windows 7 64 bit and using NVDA as my screen reader and Amy is my voice of choice. I had been quietly using Amy for a number of years on my old Windows vista 32 bit computer, and when I got my new computer, I discovered that I could update Amy to a 64 bit operating system. When I did, however, I found that I couldn't register her, because I could only obtain the product key for my first Amy which was version 3. I was advised to open an E-ticket and we would go from there. I could fill in the appropriate edit fields using my screen reader, but when I was done, I was asked to enter a security code. Because the security code is graphical and is a captia image, my screen reader does not see it. I know that that's a way to prevent all kinds of bad stuff from happening, but by doing it this way, you leave out the whole of the blind community. Blind people use synthetic speach, and that represents quite a sizable market share for Cepstral, You have vertually made it impossible for every blind person to request support. Just something to think about. As a text to speech company we strive to allow access for everybody on our web site, but unfortunately over the years some parts have lagged behind others. I do want to let you know that I am personally in the process of completely redoing our web site (including our ticketing system) and I am putting extra effort into following accessibility standards outlined by the W3C. This should make navigating every part of our website not only completely accessible, but also easier. We are using the newest features of HTML5 to better structure our content for screen readers, as well as implementing WAI ARIA Landmark Roles so that screen reader users can skip around our pages to access the content they are looking for faster and easier than before. We very much appreciate your feedback, and would encourage to leave any more you may have, positive or otherwise, in the coming months as our new web site goes public. Thank you for your continued support of Cepstral, and once again sorry for the inconvenience. Well the audio works great! But I tried to open a test ticket, and when I entered NA for my phone extention, I got an error message telling me that NA was not valid. At least for the moment we are requiring a phone number. This has the advantage of giving us another avenue of contact. This is especially important as we have had individuals who input the wrong email address, meaning that any responses we deliver through the ticketing system will never reach them. This can be frustrating for both parties as the user thinks that we are not delivering support, and we have no way of communicating to them that we are unable to contact them through the email they provided. Do you think it is asking too much to require a phone number? I have no problem with the phone number, in fact, I think that it is a very good idea. What happened was, that when I entered the letters NA in the extention field, I got an error message telling me that the NA ext. was invalid. I don't hav a phone extention, it is a 7 digit number. I tried opening another ticket leaving that edit field blank, and the edit fields were still there after I pressed the create ticket butten. I still don't know if the ticket got posted or not. I have no problem with Cepstral calling me if you guys can't send me an E-Mail. Sometimes, it goes better for a blind person if they can have a conversation one on one with a tech. 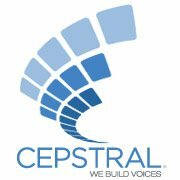 I still wish that Cepstral had a staff directory with names and E-Mail addresses. The words "at" and "dot" can be written out to prevent spam. "?Amy at cepstral dot com"
I advise you to contact the support center or to these guys https://www.jitbit.com/helpdesk/. I often do so if a problem unsolvable by yourself, then professional help is needed. To this I have come across a few years in the center of the support microsoft.